Not her father’s daughter – Tell my story. I’m not one to go about picking on other’s research, but I suppose (with five years of Emmett Wilson research — that’s way over 10,000 hours of continuous digging and nit-picking) I can safely call myself an Emmett Wilson Expert. Anyway. Today’s post is about our resilient Minnie E. Kehoe. A Who’s Who of the first woman lawyers of Florida. One of the nice things about this resource is not only does it provide the bios, but also the timeline of when the women were admitted to the Florida bar. And yes, Minnie is listed as one of the first women lawyers in Florida, starting on page 8. The first error in the rectangle. Yes, Minnie was admitted to the bar in 1913; she worked in Pensacola for many years, then moved to Miami to be near family, namely her prominent brother J. Walter Kehoe, then she returned to Pensacola. But Ervin’s incorrect about her father’s vocation. John Francis Kehoe, Minnie and Walter’s father, was a prominent bricklayer/brickmaker, and in fact supplied some of the materials for the construction of the Jackson County (Florida) Courthouse in Marianna. From the Pensacola City Directory, 1885. Note the lack of lawyerly vocation info. Minnie’s brother, J. Walter, was a U.S. 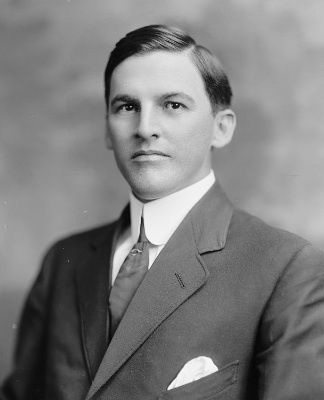 Congressman for one term (1917-1919). John Kehoe died in 1906, so, even if John was an attorney, Minnie couldn’t have practiced with him. Pensacola City Directory for 1913. Note that brother Walter has a different office address. Pensacola City Directory for 1916. By 1916, she had her own office, again, separate from her brother Walter. According to family information, she ALWAYS did it HER way. I’m glad to see Minnie getting her due recognition, but disappointed in the sloppy data confirmation. I’m a little surprised that a Bar publication would use sources with unverified information (i.e., Ervin’s statement about Minnie ‘may have been the daughter….’). Not to be a nitpicker, but c’mon; spend more than five minutes to confirm information that others may use in their own research. Here’s to Minnie Kehoe. A woman of her own making, and definitely, not her father’s daughter. May I add a link to this post on our cemetery FB page?